SPOKE NYC is pleased to present “Beautiful Mistakes” an exhibition by Polish artist, BEZT (Etam Cru) in what will be his inaugural solo exhibition in New York City, curated by Los Angeles-based gallery, Thinkspace. 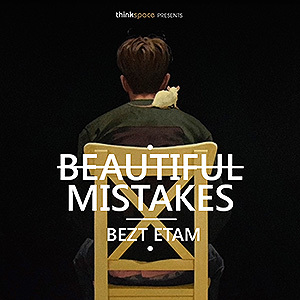 For “Beautiful Mistakes” BEZT has created a series paintings and drawings, highlighting his simple and quiet storytelling. Melancholic figures are depicted in familiar domestic scenes, blurring the lines between familiar and surreal narratives. Known primarily for large-scale murals painted with Sainer as part of the Etam Cru duo, BEZT’s work is resistant to the ascription of excessively assigned meaning, preferring to allow the imagery to speak for itself. BEZT juxtaposes saturated colors and loose brushstrokes with delicate, refined lines and patterns. His dream-like compositions often feature a central figure, silently contemplating the unknown, capturing the moment when someone is lost within their own thoughts. The scenes depicted quietly draw the viewer in, making them take pause and consider the unknown. In conjunction with the exhibition, BEZT will be painting his first mural in New York City. 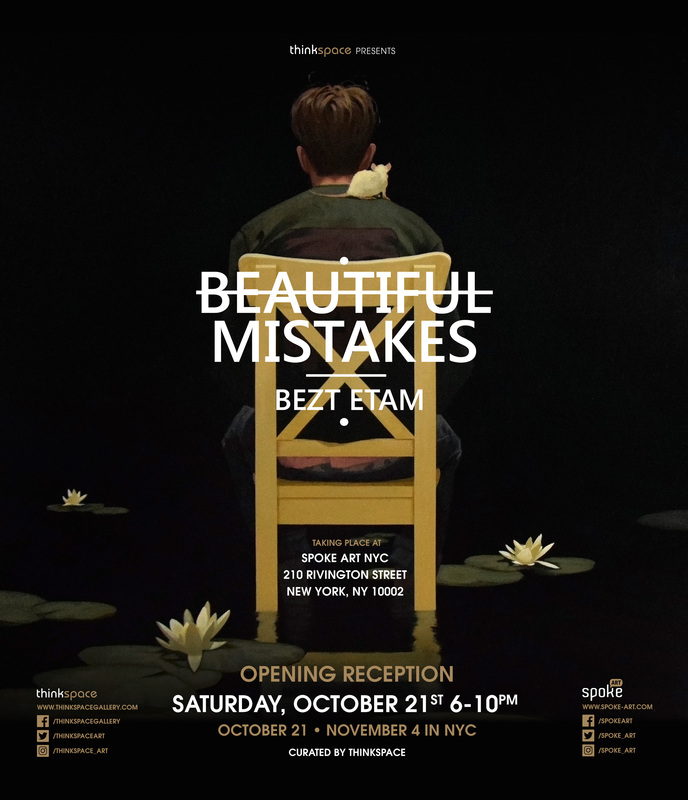 Please join us Saturday, October 21st from 6 – 10 pm for the opening reception of “Beautiful Mistakes.” Complimentary beverages will be served and the artist will be in attendance.